A 43-year-old Chicago man is seeking release from an Illinois prison, repeating a claim that he has made for nine years, that he was set up by corrupt cops. And as allies, he points to FBI agents, who brought a case against those some of those very officers three years ago. Ben Baker argued at his 2006 trial that Sgt. 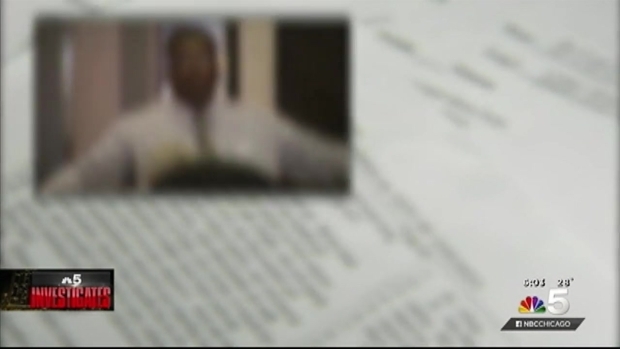 Ronald Watts and members of a South Side tactical team framed him when he refused to pay a bribe to remain free. Six years later, Watts and a second officer, Khalatt Mohammed, faced federal charges for shaking down drug dealers in the very same neighborhood. A 43-year-old Chicago man is seeking release from an Illinois prison, repeating a claim that he has made for nine years, that he was set up by corrupt cops. NBC 5's Phil Rogers reports. 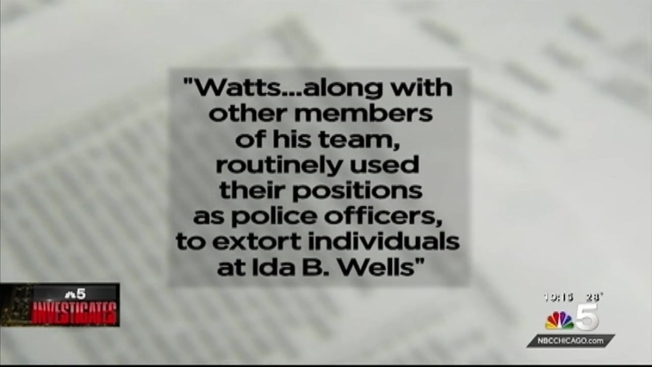 Watts' unit has previously been the subject of allegations of rampant corruption. Two police officers, Shannon Spalding and Daniel Echeverria, said they worked undercover on the investigation of the Watts team, and believed the corruption went far beyond the two who eventually faced charges. Spalding and Echeveria currently have their own lawsuit pending in Federal court, charging they were ostracized and punished for making the allegations. Indeed, Tepfer, an attorney for The Exoneration Project, says documents he obtained from the FBI and the Independent Police Review Authority reveal longtime suspicions about the Watts crew, some predating Baker’s arrest. Tepfer filed a petition this week in Cook County Circuit Court, seeking to have Baker’s conviction vacated. He said he believes, based on Watts and Mohammed’s convictions, that his client should be released immediately. But at the same time, he noted the other officers in the unit who never faced charges, even though FBI agents and fellow police officers suggested they were complicit in the wrongdoing. Baker’s sister said her brother had insisted from the beginning that he had been set up. “Everything that came out, Ben already revealed to the judge,” she said Thursday, expressing shock that both Watts and Mohammed had already served their sentences, while her brother remains jailed. “Why is he still locked up, and the police that did the dirt that they know about, are out,” she asked. “Why are they free, and my little brother is still serving time?"